Last month SOTEAG hosted a delegation from the Independent Expert Group (IEG) to Germany’s Central Command for Maritime Emergencies. The purpose of their visit was to gain a better understanding of SOTEAG’s responsibilities and operational structure. Like SOTEAG, the IEG plays a crucial role in providing independent expert advice in emergency oil-spill response and we hope that this new relationship will facilitate knowledge exchange and be of mutual benefit to both organisations. The visit itself was a great success, thanks to the interesting and informative presentations from SOTEAG members and affiliates, and the excellent accommodation and facilities provided by the North Atlantic Fisheries College. 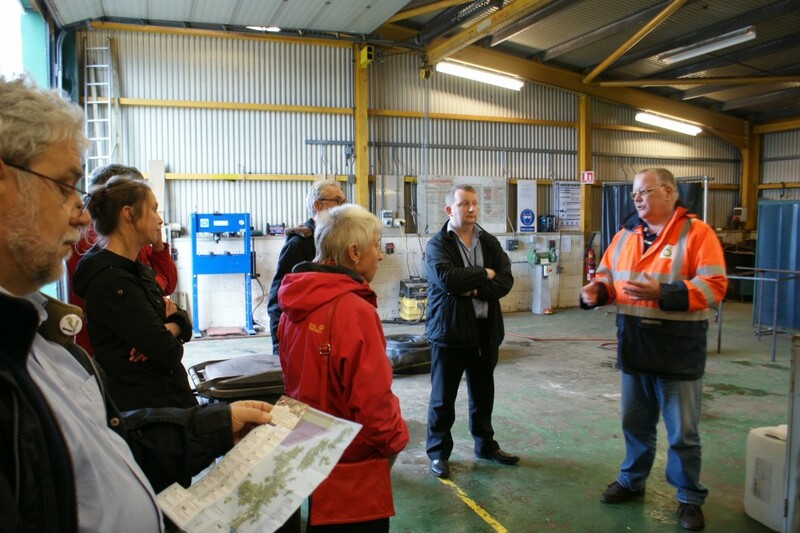 Over the week the delegation learnt about SOTEAG in Shetland, met with representatives from the Shetland Islands Council and the Sullom Voe Terminal, and received a guided tour of the Terminal site and the Port Control Building and oil-spill emergency response equipment at Sella Ness. A further opportunity to meet with representatives from the Sullom Voe Association was provided at a formal dinner at the Shetland Hotel. 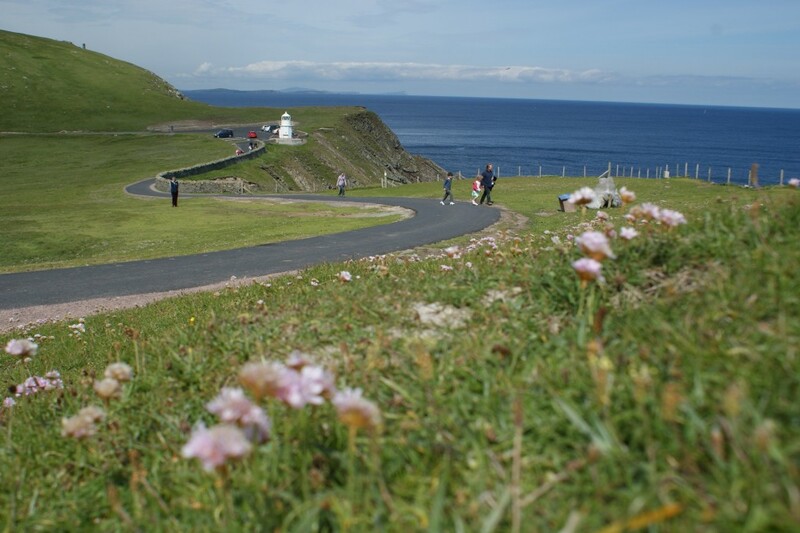 Presentations were also provided on the Wildlife Response Co-ordinating Committee, marine sensitivity mapping, invasive non-native species monitoring, previous oil spills in Shetland and the roles of Scottish Natural Heritage and the Scottish Environmental Protection Agency within SOTEAG. 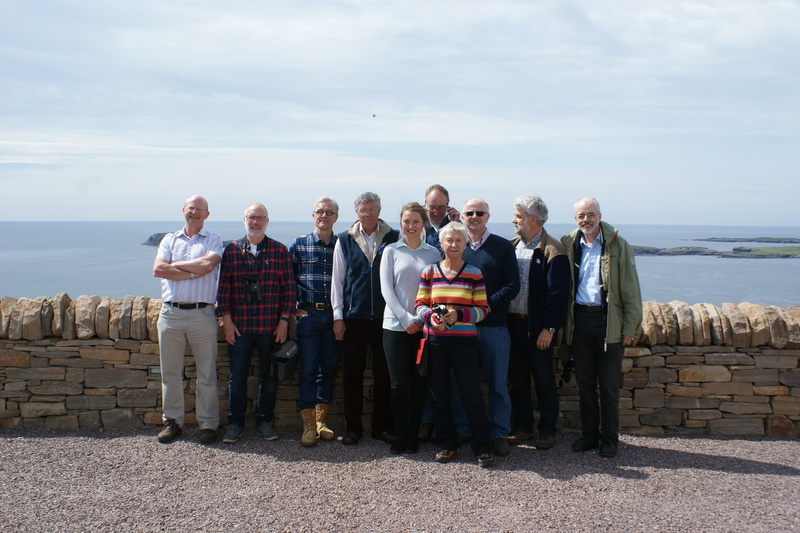 As a reminder of what we are preserving, we also took the Group to Sumburgh Visitors’ Centre, where they learned about seabird monitoring, and on a boat trip to the spectacular cliffs at Noss National Nature Reserve with local guide Jonathan Wills. 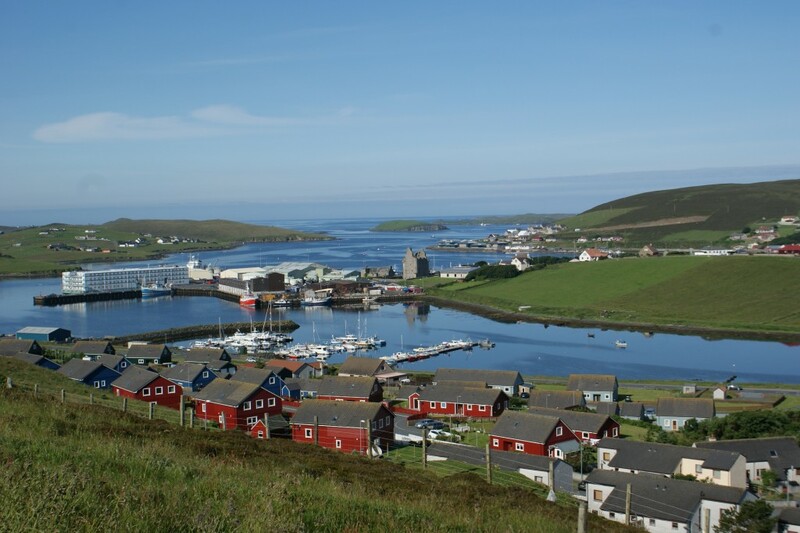 The IEG claimed they felt ‘at home’ on Shetland and appreciated the visit not only from a professional point of view but the insight into the Islands’ culture. They were particularly impressed by how much commitment had clearly been placed on protecting the marine environment by the community. From the left: Professor David Paterson (SOTEAG Monitoring Committee Chairman), Mr David Fleet, Dr. Thomas Höfer, Professor Mike Richardson (SOTEAG Chairman), Zara Morris-Trainor (SOTEAG Executive Officer), Martin Heubeck (SOTEAG seabird ornithologist), Mrs. Birgit Böhme, Mr. Johannes Pastor (IEG Chairman), Dr. Joachim Voss and Dr. Heiko Leuchs (IEG Vice Chairman). Having established a relationship with the IEG, we now hope to maintain this through continued knowledge exchange and cooperation to maximise the potential of our respective organisations. We wish to pass on our deepest thanks to both the delegates from the IEG, who were such enjoyable guests, and to everyone who helped contribute to the visit’s success. 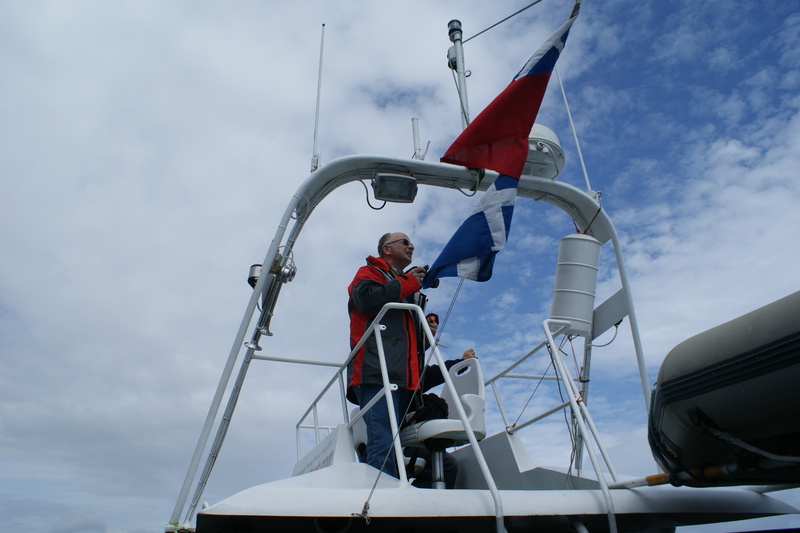 This entry was posted in Engagement, News and tagged Independent Expert Group, NAFC Marine Centre, Outreach, Shetland Islands Marine Spatial Plan, Sullom Voe Association, Sullom Voe Terminal, Sumburgh Visitors Centre on August 7, 2014 by zmt.